Pence also took direct aim at Turkey, a NATO member that has bucked the organization by growing closer to Russia and purchasing Moscow's advanced missile systems. The Trump administration recently canceled the sale of advanced F-35 war planes to Turkey as a result of this behavior, which Pence said is unacceptable. "We released a National Security Strategy advancing peace through American strength," Pence said. "We initiated the modernization of our nuclear arsenal. And in January of this year, President Trump unveiled our nation's new strategy for missile defense." "Together with our NATO partners, we created the Very High Readiness Joint Task Force to prepare combat-ready battlegroups to be able to move into the Baltics and Poland within days," Pence added. "We began the four 30s initiative—which, by 2020, aims to ready 30 mechanized battalions, 30 air squadrons, and 30 warships for deployment within 30 days." The Trump administration also is spearheading the creation of new NATO commands in Virginia and Ulm, Germany, in a bid to "ensure the swift movement of our troops" across the globe. Norfolk, Va., for instance, "is the proud new home of NATO's focus on the future, the Allied Command Transformation Center, which is tasked with assessing the latest global trends and devising the ability to meet and match them," Pence said. "And just last fall, NATO conducted its biggest joint exercise since the end of the Cold War: Trident Juncture," Pence said. "NATO is stronger today because of the resolute American leadership of President Donald Trump, and our Transatlantic Alliance has made remarkable progress for our collective security." Pence went on to praise NATO for its efforts to combat ISIS and destroy the terror group’s so-called caliphate. "We've taken the fight to radical Islamist terrorists on our terms, on their soil," Pence said. "In Iraq and Syria, President Trump gave American commanders in the field the authority they needed to hit ISIS and drive them back. And thanks to the courage of our armed forces and the efforts of our 78 coalition partners, the ISIS caliphate is no more." Under the Trump administration, Russia will not be permitted to force its priorities on member states, Pence said. 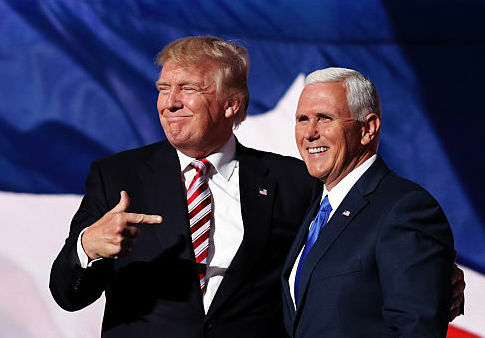 "The good news is, at President Trump's urging, our NATO allies have promised more than $100 billion in additional defense spending, more of our NATO allies are meeting the two percent commitment, and the majority of NATO members now have plans in place to meet their financial obligations by 2024," Pence said. "Turkey's purchase of a $2.5 billion S-400 anti-aircraft missile system from Russia poses great dangers to both that country and all of NATO," Pence said. "And it is moving ahead with these plans even after the United States offered to sell Turkey the Patriot air defense system. As the Pentagon made clear just this week, and as I repeat today, if Turkey completes its purchase of the S-400 missile system, she risks expulsion from the joint F-35 program, harming not just Turkey's defense capacity, but crippling the many Turkish components manufacturers that supply the program." This entry was posted in National Security and tagged Mike Pence, NATO, Trump Administration. Bookmark the permalink.